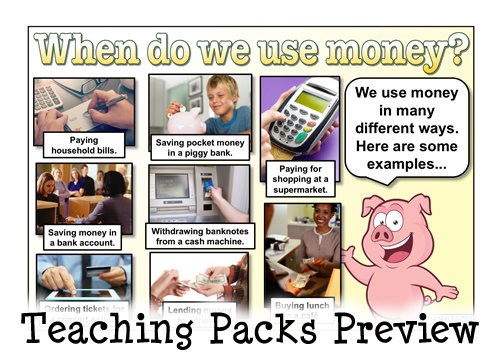 Support your children’s understanding of this important topic by using the quality resources in our Money Pack! Includes a wide variety of teaching, activity and display resources based on a number of different currencies used around the world. One 15 Page Guide to Money – A comprehensive guide to money, including information about when we use money, notes and coins, adding and subtracting money, calculating change, percentage discounts and increases, interest, debt and more! Two Table Mats – Handy reference resources to help your children to remember key vocabulary and the coins / notes used in different currencies. 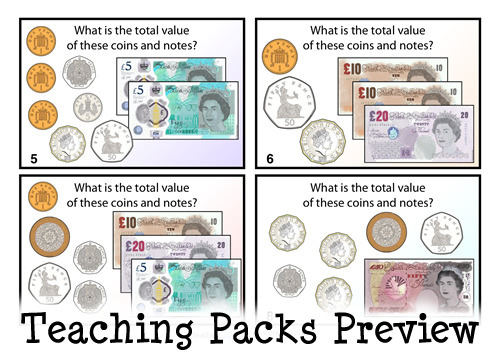 Twelve Pages of Printable Notes and Coins – High quality illustrations of notes and coins to use in your sorting, matching and role play activities. Thirty Pages of Coins and Notes Posters / Cards – A collection of posters (with smaller cards) that show every coin and note for a variety of currencies. 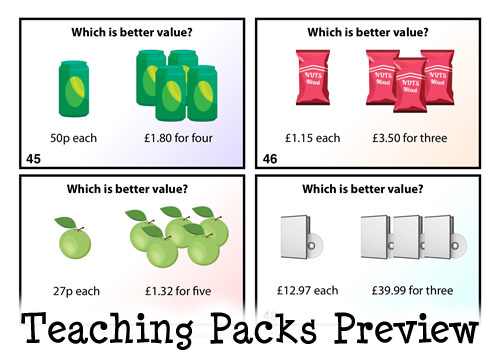 Use the posters on a classroom display and the cards as a discussion / matching activity resource. One Coins and Notes Matching Resource – A set of cards that show every coin and note in a variety of currencies. Cut them up and use them as a matching resource… or print the pages for use as reference mats. One Money Matching Activity – Cut out the four parts of each grid and ask your children to match the values together. Each page (out of a set of fifty) includes an amount of money written in words and using digits, as well as illustrations of coins that show that value (in two different ways). 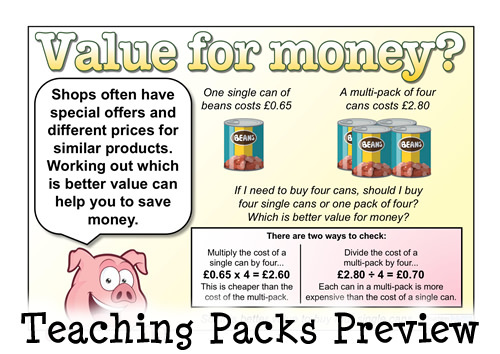 Four ‘Find the Correct Change’ Resources – Can your children find the correct coins to make the amounts of change for each customer in the cafe? Five ‘Counting Coins’ Resources – Can your children work out the value of coins that are falling from each purse? Five different sheets are available (with an increasing level of difficulty) along with answers for teachers / self-checking. Forty-Eight Shopping Cards – A set of 48 cards (showing objects and their approximate prices). 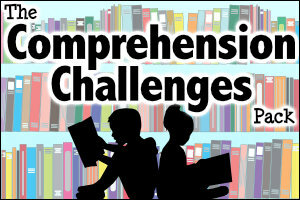 Use them in a variety of ways using our suggested teaching ideas and classroom activities. Sixty Challenge Cards – A set of sixty different money challenges that your children can explore. Covers a range of topics including coins / notes, shop prices, percentage increases / decreases, currency conversions, value for money and more! Two ‘Movie Magic’ Investigations – Challenge your children to plan their own movie. They will need to pay for a script, actors / actresses, locations, a crew, an advertising package and more. Will they be able to stick to the budget? Four Sets of Follow Me Cards – Can your children work together to answer all 32 money questions? 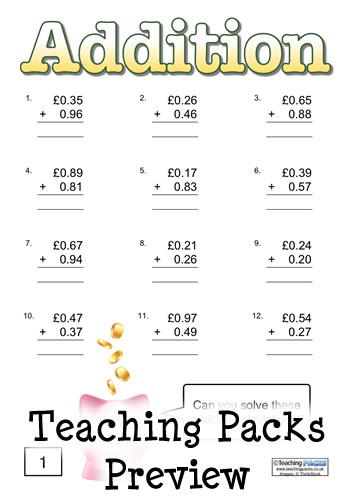 Twelve Calculation Sheets – Challenge your children’s ability to add, subtract, multiply and divide with money. 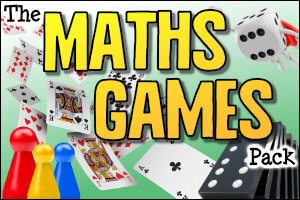 Available at a range of difficulty levels to support your differentiation. 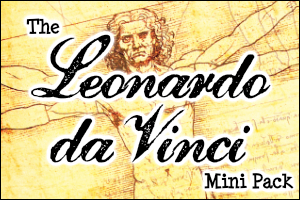 Eighteen Pages of Display Resources – Banners and posters to add to your classroom display boards. 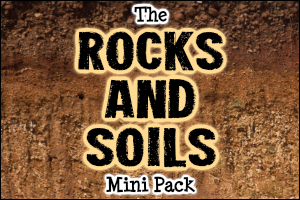 Resources in this pack are available in British Pounds, Australian Dollars, New Zealand Dollars, Euros and US Dollars. 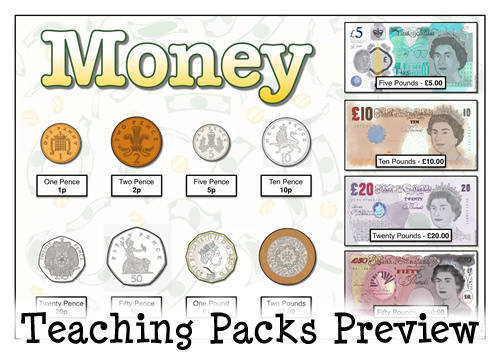 Click on the thumbnails below to view samples of resources from the UK version of The Money Pack. Excellent pack that I used with great success whilst on placement during my PGDE year. 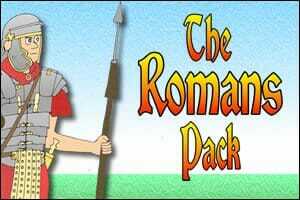 Great for differentiated learning and I have downloaded lots of other packs since which have all been very useful. I wish I'd seen this pack earlier! Over the last few weeks it has come to my attention that the children in my maths class are having some difficulty with their money maths. 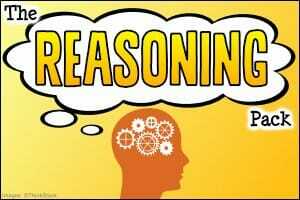 Also, they are often challenged by solving maths word problems. Well, the end of term is coming, and a colleague shared a special resource with me - a booklet of money problems in which the children design a park. It was good, but really too advanced for them, and I had to struggle to make it fit and to make it work for my class. 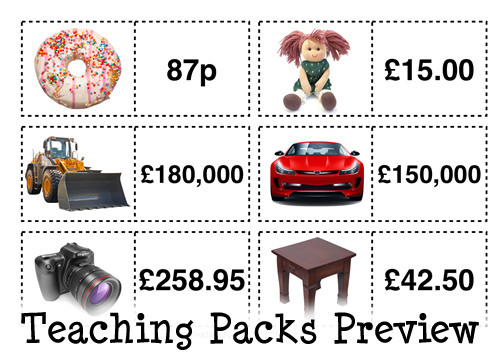 And then I took a look at the Money Pack on teachingpacks, and I realised they had all of these wonderful resources which I'd neglected to use! The UK money mat! The money problem-solving cards, just what my children are in need of! And especially the movie making adventures! Oh, I wish I had found those in time, and I certainly will be using them with my class next year! I absolutely love this pack. 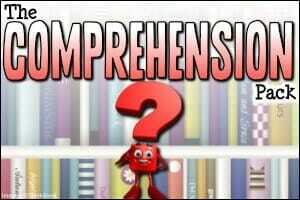 I have used it so many times as a substitute teacher across all age ranges. 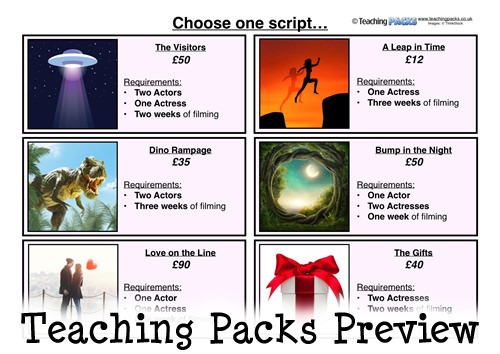 I particularly like the follow on cards/games and the Movie investugation which I have just used in KS3! The fact that you can change the currency is wonderful because you can then introduce other country's money system so it is also cross curricular. 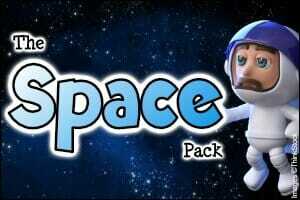 I use many packs but this is one I keep on my memory stick at all times. 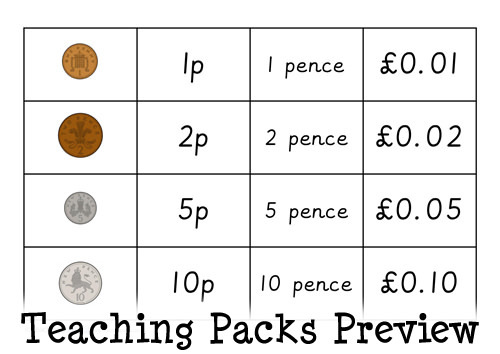 I am so impressed that Teaching Packs makes this pack available in different currencies! So good to have an Australian version! Thank you! I’m a home educator to a child with asd who struggles but is helped by visual, bright engaging materials. 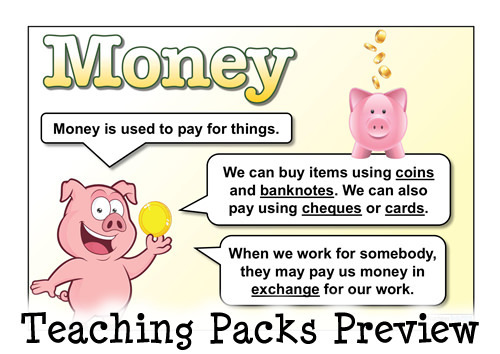 The money teaching pack has been a fantastic resource, engaging and fun while learning concepts of money, spending & saving. Information, worksheets and additional resources are perfect and I have laminated coin & money sheets to make work more interactive. 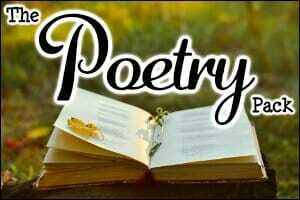 Thankyou for such a fantastic, engaging & helpful resource! 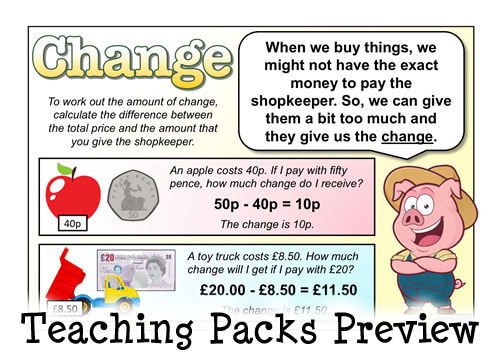 I've been using the Toy Shop, Challenge Cards, and 'Find the Correct Change' for a few weeks now in my Y5 class. All the students were able to work through the various ability sheets, moving up as they completed one to the next. The answer sheets were fantastic as early finishers could mark their work once done. I've laminated all the resources I've been using and they are colorful and easy to work from for the students. I especially like that the problems/questions are a mixture of sums and word problems! Thanks for a fab resource. 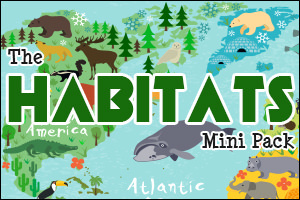 Thank you so much for making this fabulous resource. This has saved me so much time in trying to find lots of different activities for a wide variety of learning needs. I love the loop cards and the challenge cards as they can be used with the whole class or small groups and contain tasks which will challenge everyone. 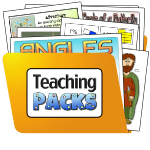 High quality resources which free up my time to focus on teaching and learning rather that spending hours looking online for resources to support my teaching. Keep up the great work - you are making my job more manageable!! I have use this during Financial Fortnight and it has been fabulous! I have used the cards with money purses on them to have children engage in problem solving. Eg If I add two coins to the purse to make it up to 50 (or any amount you like!) which two coins would they be. Graphics are bright, attractive and realistic. Perhaps a few more cards with varying larger amounts of money could be added to it to challenge more able, or older, children? 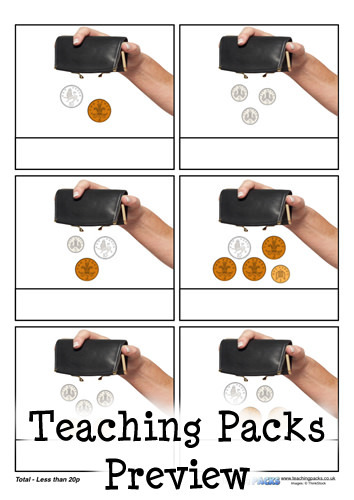 I just finished teaching The Money Pack to my 5 years old daughter who I homeschool. 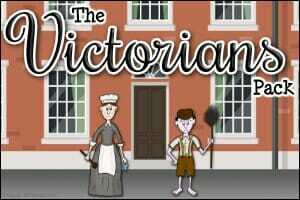 I wanted to say it is fantastic resource and my daughter loved it and she had fun learning about it. All your resources are always brilliant and looking forward to your future Packs.Thank you so much. 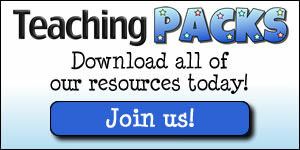 much loved resources. Thanks for this amazing resource. We use it with young autistic adults.